Twenty members from the Scottish Association of Young Farmers’ Clubs (SAYFC) have completed the Cultivating Leaders Business Programme. Designed to support Scotland’s future leaders by equipping them with as many skills and networks as possible, the six-day programme asked members to consider their personal and business goals. With the support from industry partners, topics included finance, business planning, management, benchmarking, tenancies, succession and wills. Members were also challenged to look at their own skills, networks, motivations and ambitions. Communication was a key outcome, with one-member stating ‘communication in the farm sector is pretty poor, but it is so vital. Conversations are not easy but they must be done’. National chairman Stuart Jamieson says: “This is the second year of Cultivating Leaders, a course which I believe has fast become the real shining star in the SAYFC calendar. An online workshop offering advice on succession planning for farm businesses has been launched on the National Federation of Young Farmers’ Clubs (NFYFC) YouTube channel. The six videos involve professional advice from succession facilitator Sian Bushell, who is in conversation with NFYFC’s agri steering group chairman Sam Dilcock. Sian, who spoke at December’s Business of Farming conference, organised by Farmers Guardian, offers advice on how young farmers can broach the subject of succession in their family, as well as advice on forward planning, professional fees and where to find further advice. 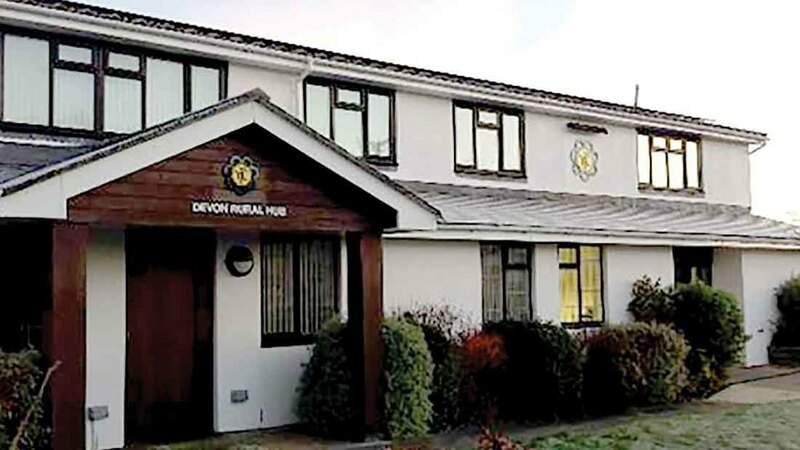 Devon's Federation of Young Farmers Clubs has unveiled its new centre and rural hub after raising more than £400,000 for the project. The Federation moved to Cheriton Bishop after outgrowing its last site. Members have been busy raising money for its refurbishment, which is now in its final phase of completion. Nick Creasy, county organiser for Devon Young Farmers, says: “After five years of searching for a suitable site we found the disused pub in Cheriton Bishop. “We pulled on our financial reserves and took a loan to buy the former Mulberry Inn in Cheriton Bishop in May 2014. The club’s members and families began fundraising and a host of companies and organisations donated, along with funds from a variety of trusts. The members are now focused on raising a further £35,000 to complete the project. The site will be the central point for the main Devon YFC office, holding meetings and training events. The new centre also supports the farming and rural communities by providing meeting spaces, hot desks, and the chance for other rural organisations to use the new building. A Lancashire Young Farmer is planning to walk the South West Coast Path this summer to raise money in memory of her close friend and fellow Holstein Young Breeder. Former YFC member Flick Coates will tackle 630 miles in July and August this year as a solo mission in 43 days. Dedicating her mission to her sister, Farmers Guardian livestock reporter Louise Hartley, who passed away from cancer last July, Flick will be raising money for the three charities which were close to Louise, Macmillan Cancer Support, The Christie Hospital in Manchester and Field Nurse. She is aiming to raise £6,300, £10 for every mile walked. Flick, who grew up on a dairy farm in Baildon, West Yorkshire, was a member of Farnley Estate YFC and is appealing to local YFC’s to help her along the way, by offering her accommodation in the form of camp sites or farm stays. She says: “I was inspired to do this challenge by Louise and her condition and, after seeing what Lancashire YFC and other individuals had done, I decided I wanted to do something big too. Now based in Ledbury and working at Hartpury College as a dairy and sheep lecturer, she divides her time between Herefordshire and Somerset where her partner is also a dairy farmer. BEDFORD Young Farmers have raised £6,500 after holding a series of fundraising events. Their efforts began with a 45-strong tractor run in aid of Breast Cancer, which raised more than £700, followed by two further events raising money for the Elizabeth Curtis Centre which offers horse riding lessons for disabled people. NORTH Somerset YFC donated more than £2,000 to three charities after raising money at events including its annual barn dance. The club donated £800 each to Stand Against Violence, The Cystic Fibrosis Trust and The Addington Fund, which offers homes for farming families in England and Wales who are forced to leave the industry through no fault of their own. MEMBERS of Okehampton YFC have donated £1,000 to the Lighthouse Club construction industry charity, having raised the money at its Christmas ball. The charity recently helped one member following the loss of their father in a tragic accident. TIERS Cross YFC has donated £1,000 to the DPJ Foundation, a new charity being set up in Pembrokeshire which focuses on mental health awareness in agriculture across the county. The group raised the money holding a bingo event and singing carols at Christmas.